Send Multi coloured Gerberas to Chennai. Gifts to Chennai. Send Flowers to Chennai. 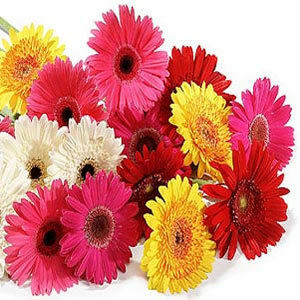 Description : This beautiful bouquet of 16 multi coloured Gerberas will help you to convey your love to dear loved ones in Chennai. Thus, send this as a gift item to them and brighten their day. You can also send this colorful bunch along with other Gifts to Chennai through Gift2Chennai.com.